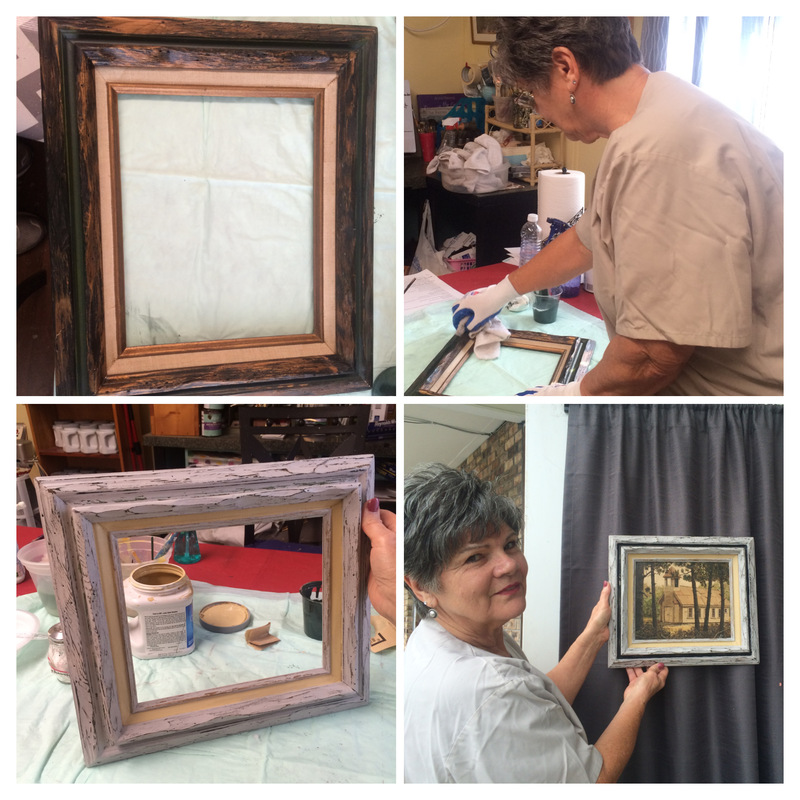 The following is a collection of collages from past workshops. 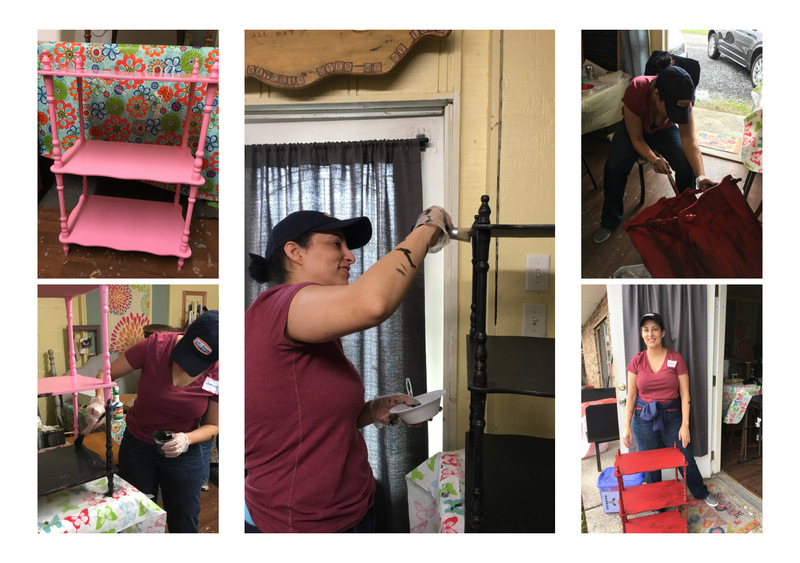 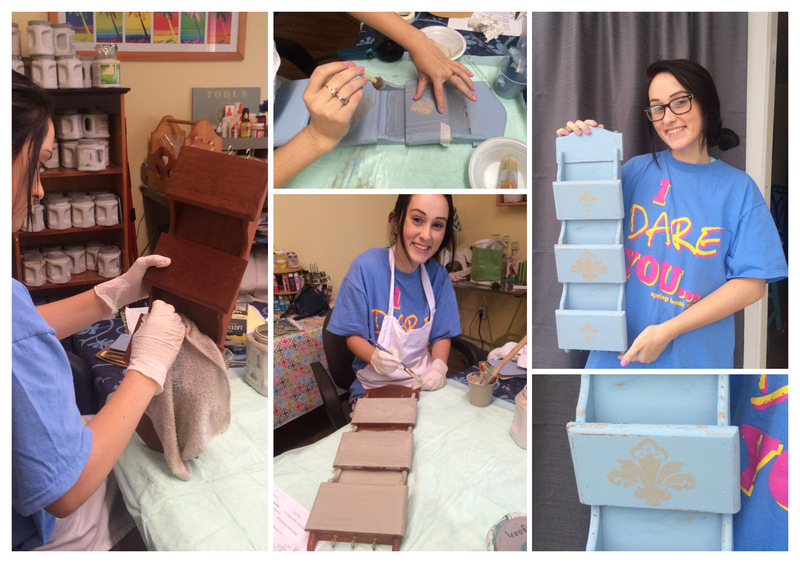 If you would like to attend a workshop CLICK HERE! 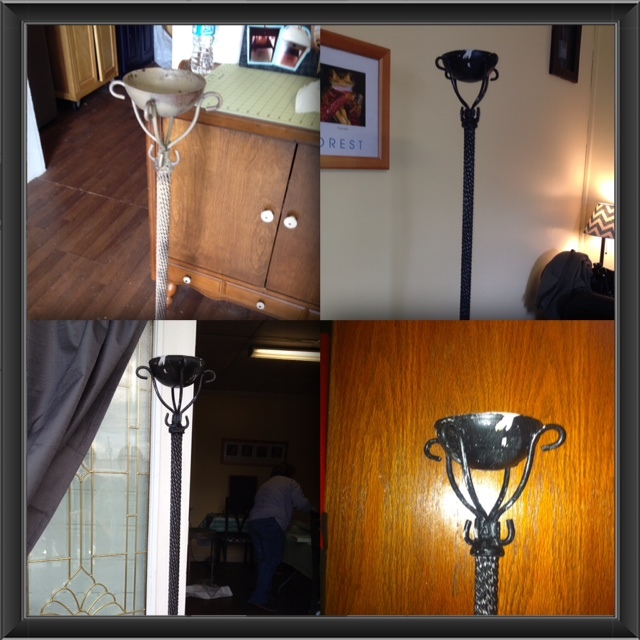 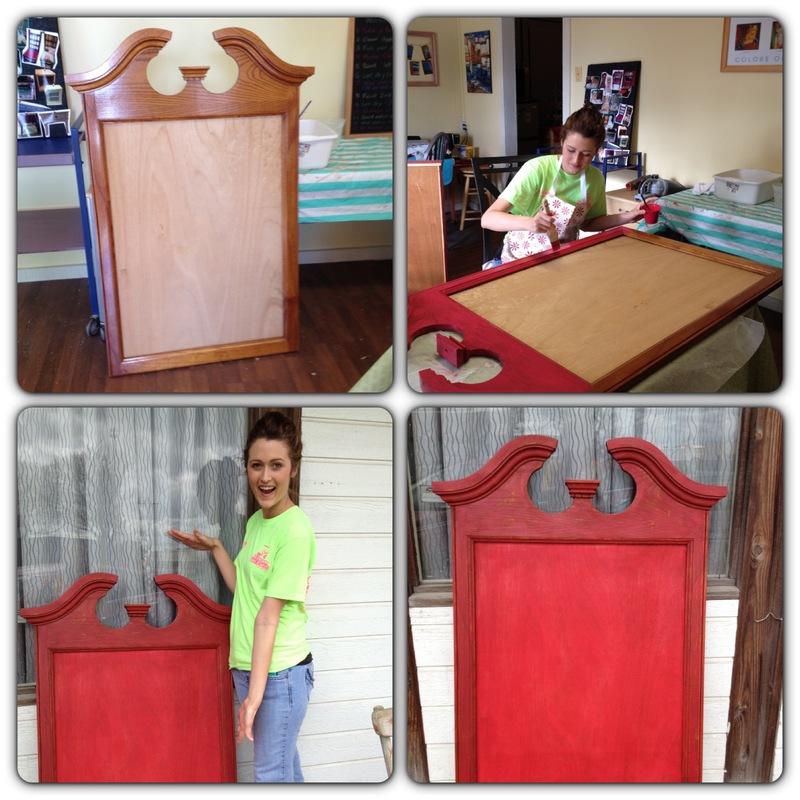 Maddi’s project was a note, key wall holder. 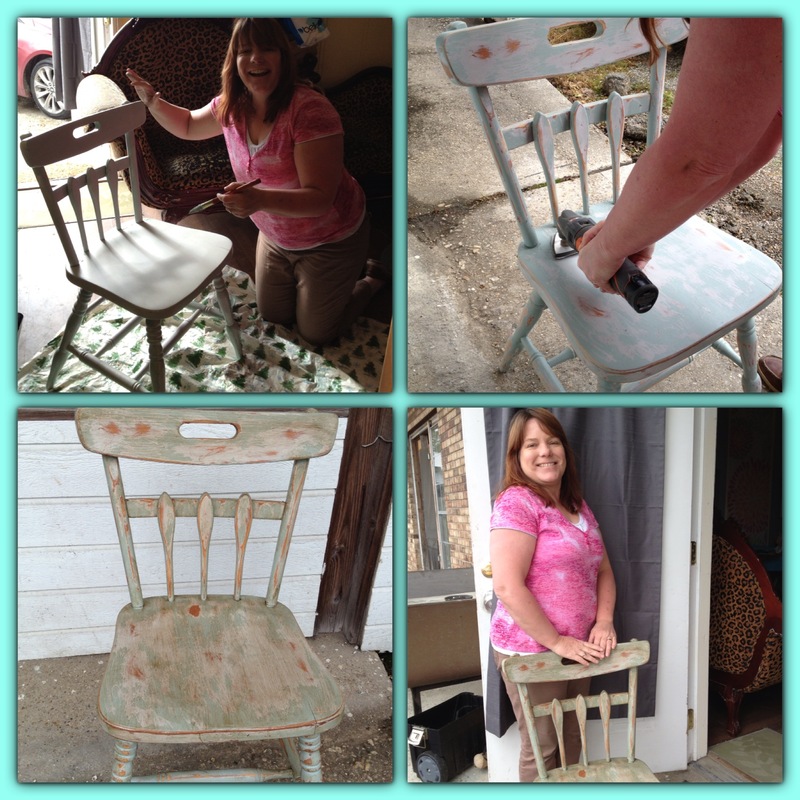 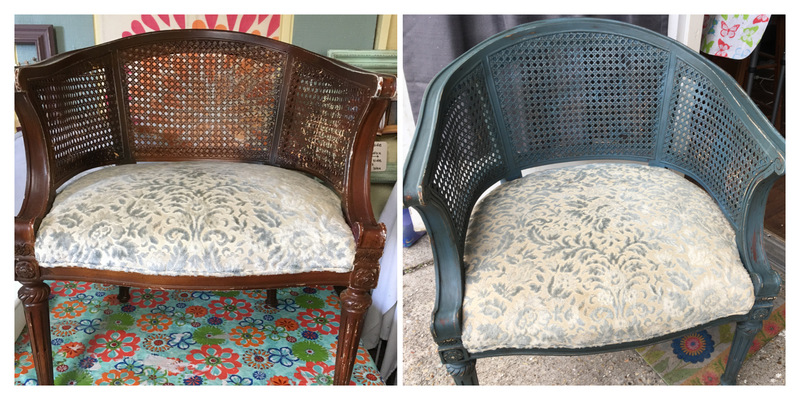 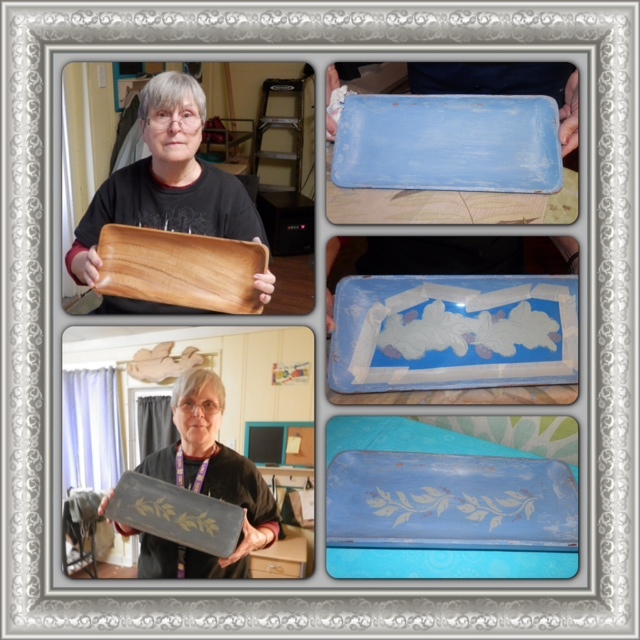 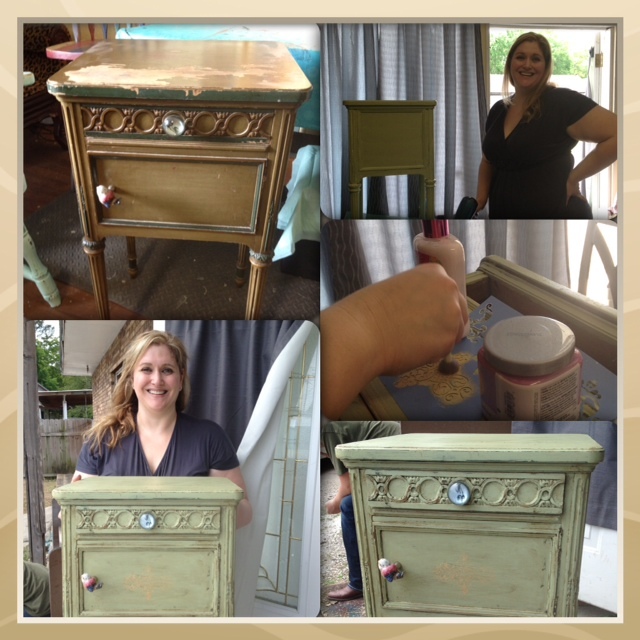 She did the two tone effect and painted stencils on it. 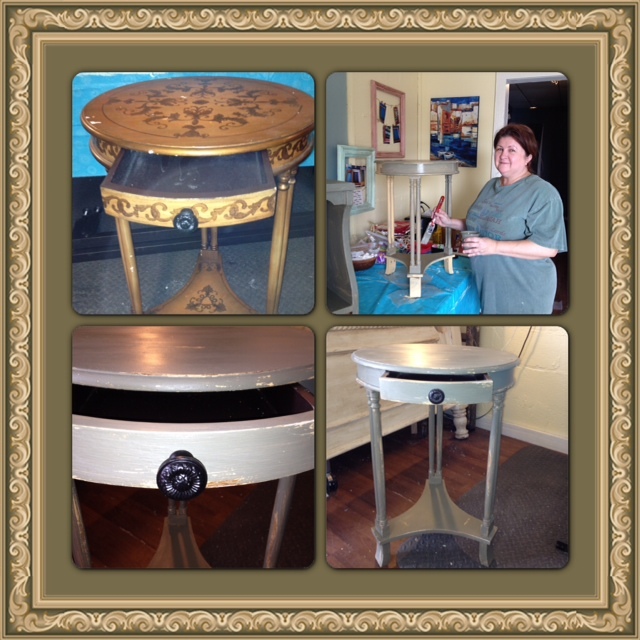 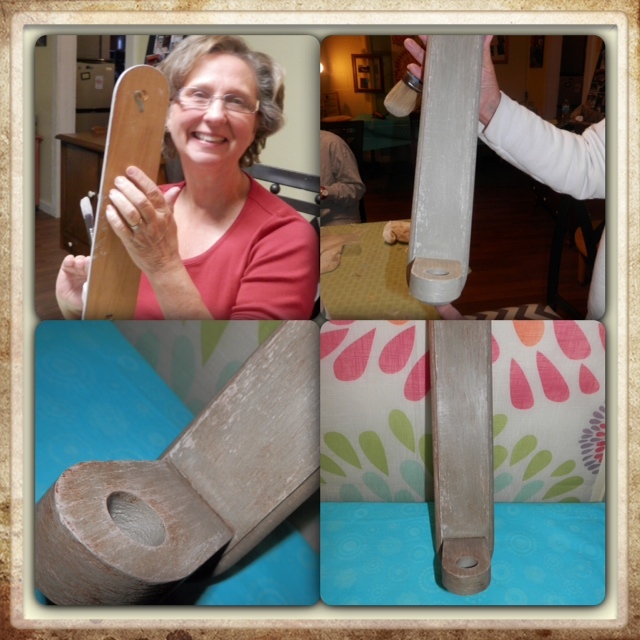 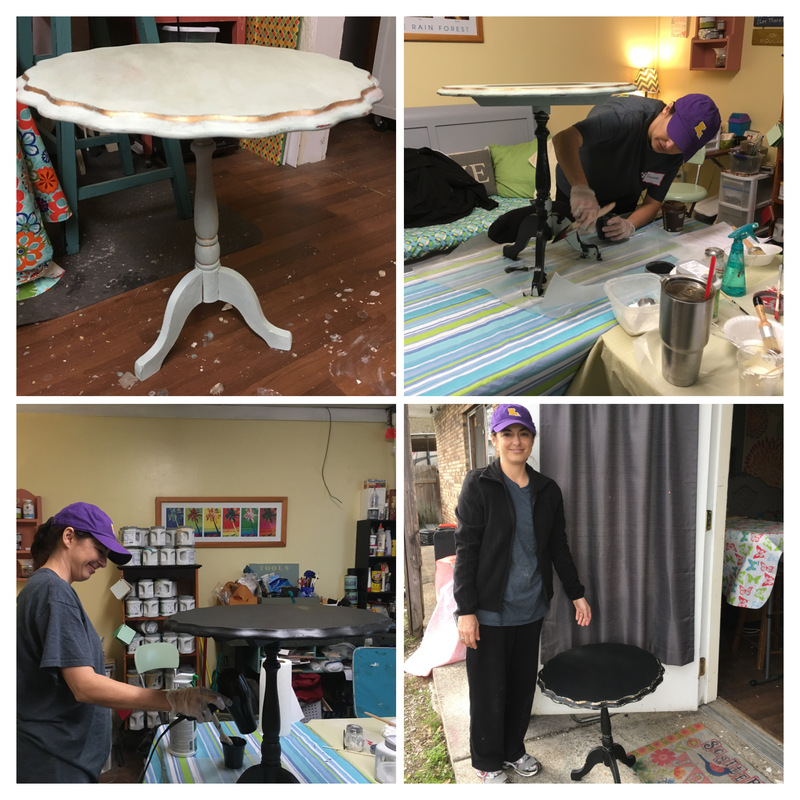 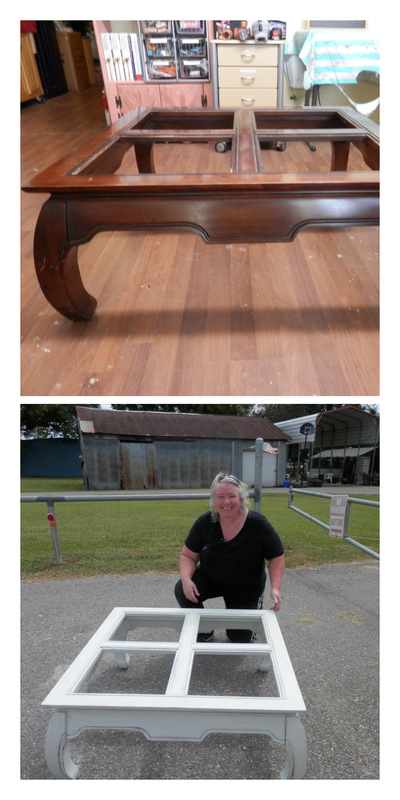 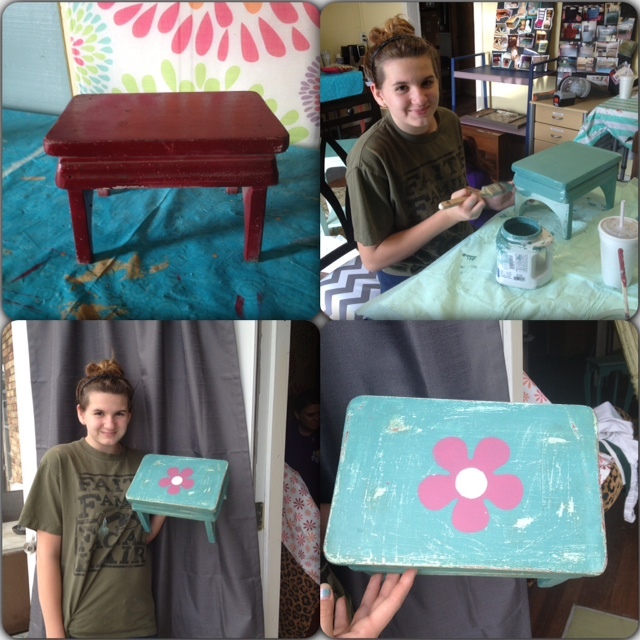 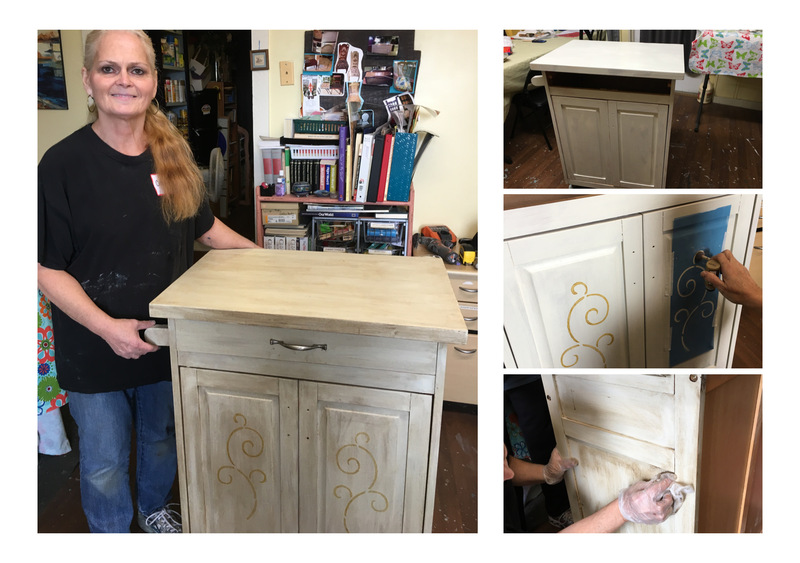 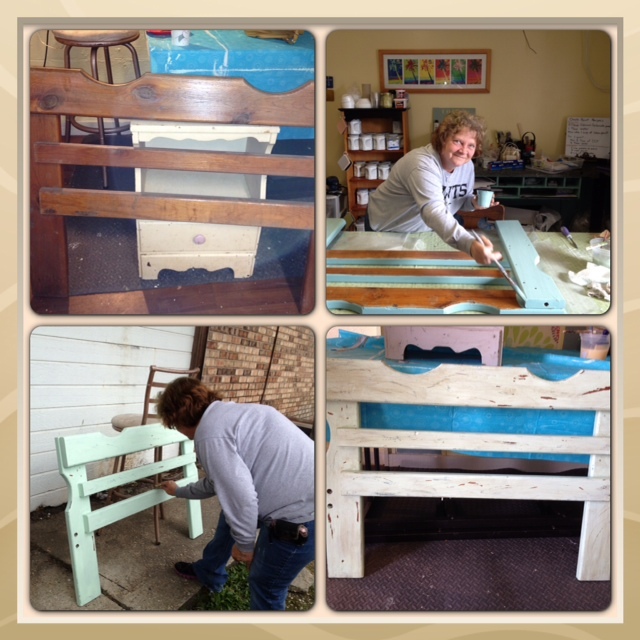 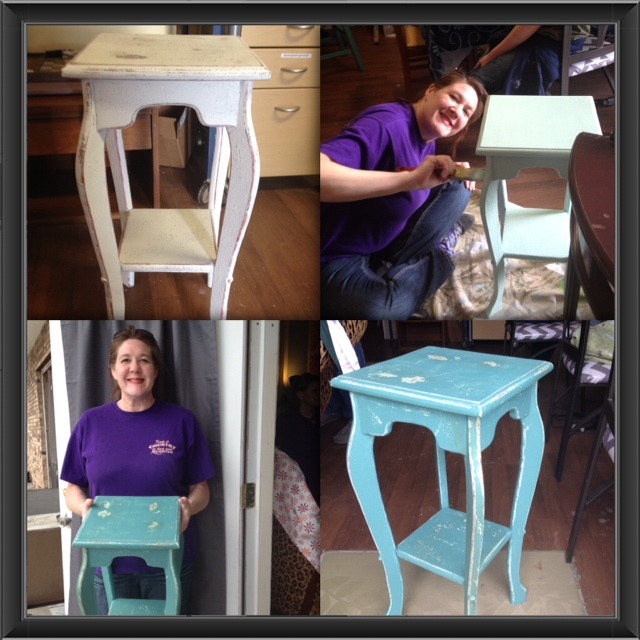 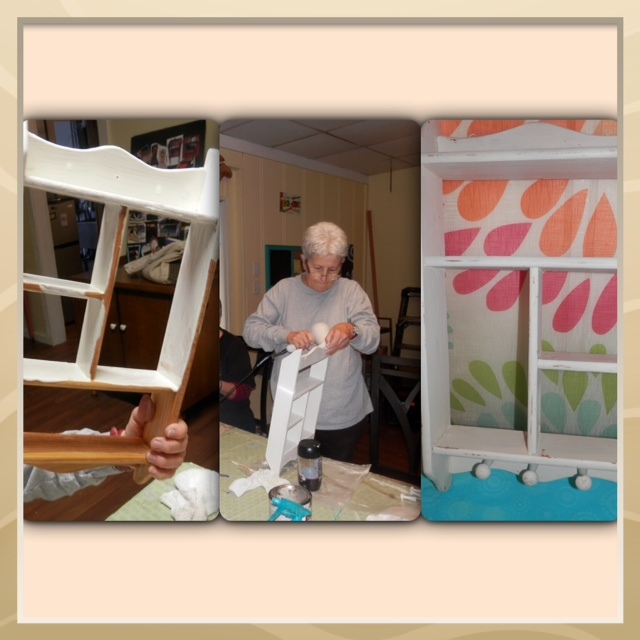 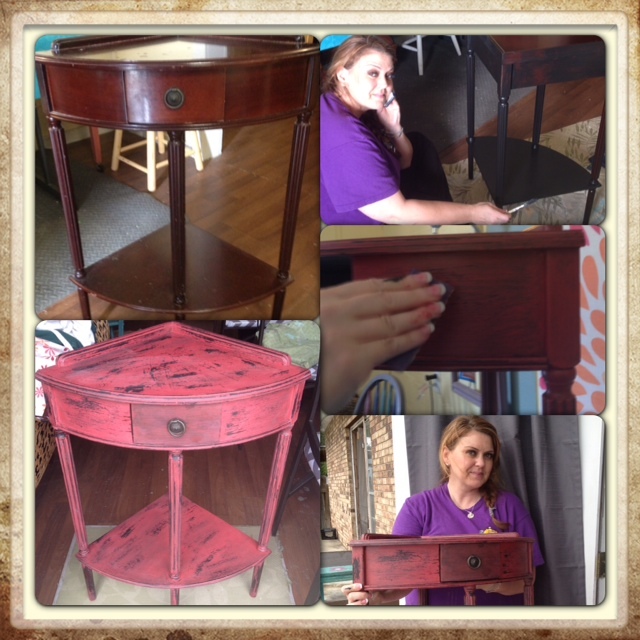 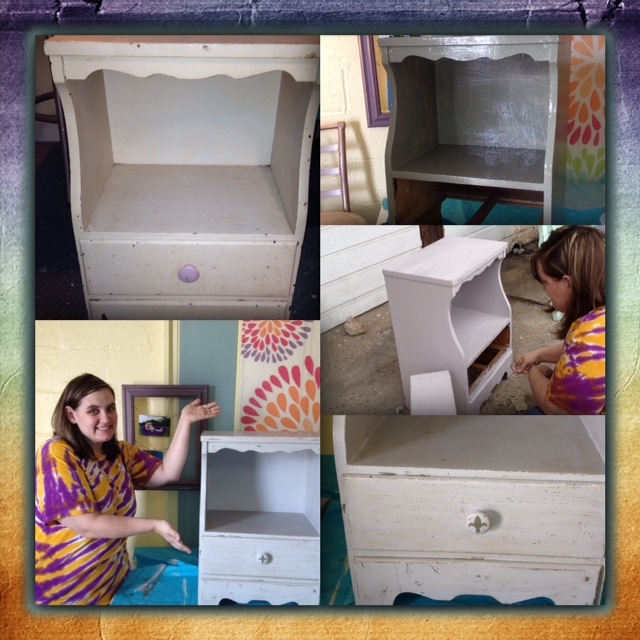 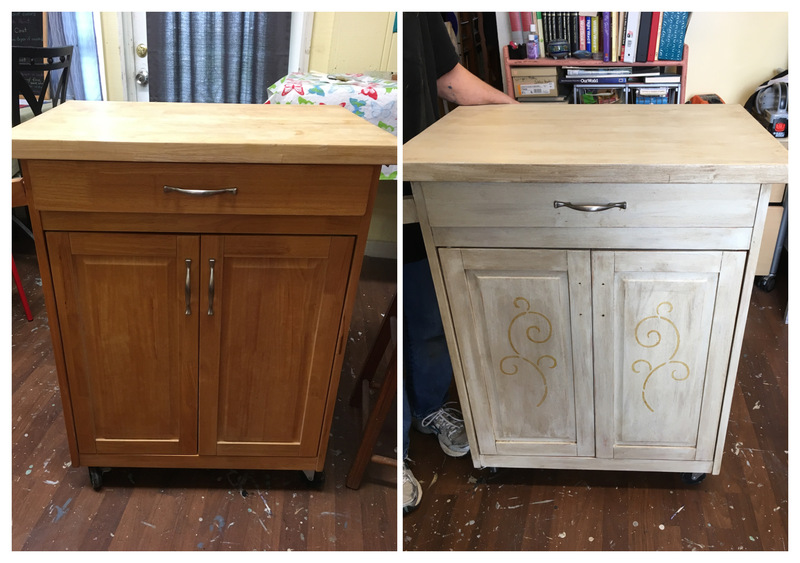 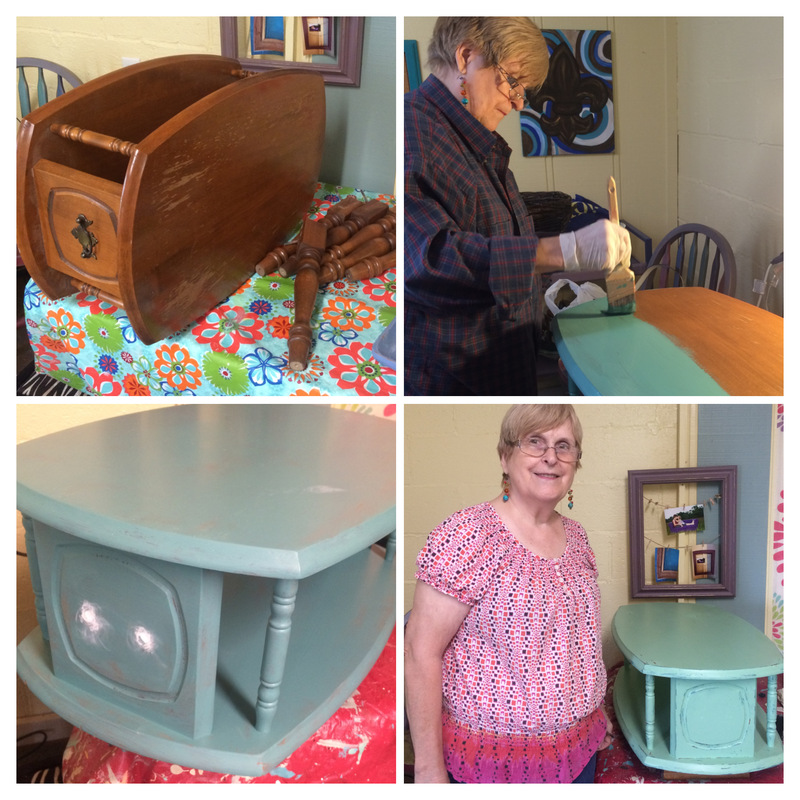 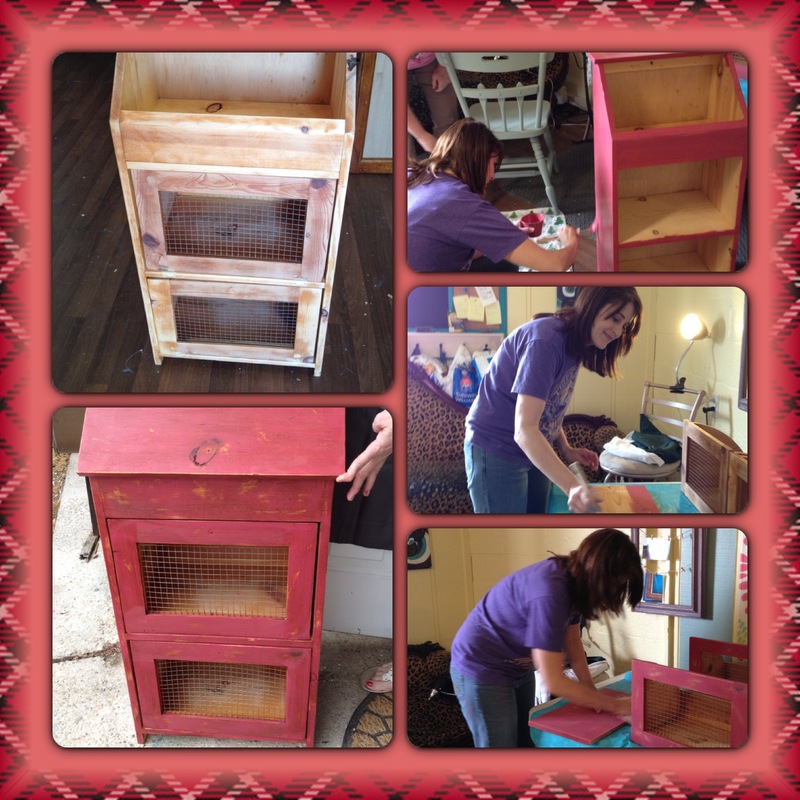 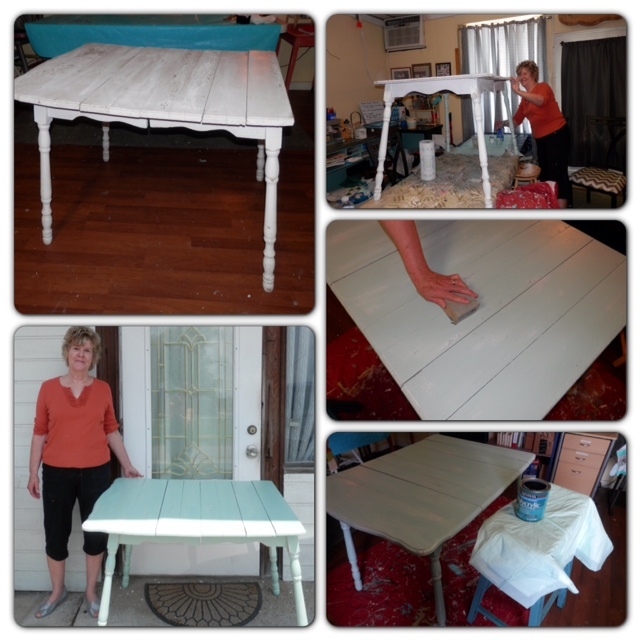 Linda’s project was an outdoor porch table.